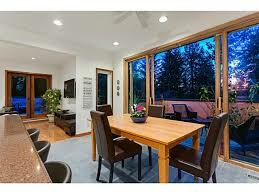 Warm and inviting contemporary home located on completely privat 11,238sq.ft. lot backing onto Whytecliff Park. This 5 bedroom home has recently undergone a substantial renovation and is in pristine condition. Situated just a block up from Batchelor Bay, one of our favourite places, and just a short walk to Whytecliff Park. A 3min drive along Marine Drive takes you to the Geneagles Rec Centre, a beautiful 9 hole Golf Course, and top-ranked Gleneagles Elementary School. The home is currently set up as a two family residence or mortgage helper with separate entrances. 1 bedroom penthouse suite is legal & registered. Open spacious floor plan, 3 fireplaces, vaulted ceilings, and private garden deck. Priced below Bc Assessment.